Orangutans are only found on the islands of Borneo and Sumatra. 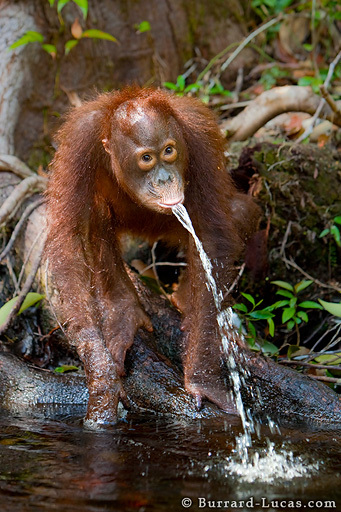 Like the other great apes, orangutans are highly intelligent and the youngsters are very playful. This image was taken deep in the rainforest of Tanjung Puting National Park, Southern Borneo. This young orangutan was playing by the water's edge. I was amazed when he started sucking up water and squirting it out like a child!